As a student, you may be struggling with finding an internship or even just deciding what you want to do after you graduate. You get tired about sending out your application. You re-write your cover letter a hundred times. You apply to what looks like every company on the planet. Then, you begin to wonder: How do I get an IT placement for my SIWES programme? I’ve gone through that road before. So, I can tell how you feel right now. Do you think your IT letter is poorly written and would like me to review your application? Or life is just unfair to you? But wait, don’t you have a LinkedIn profile? Now is the time to reach out to people who can help. Contacting an alum for career advice can feel scary and awkward, but it’s all part of the process. Check out LinkedIn’s Alumni tool and Conversation Starters in LinkedIn Messaging to give yourself a jump start. 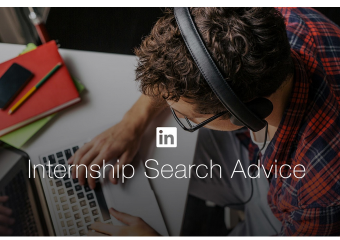 How To Use LinkedIn To Get Your Dream Internship: The Best Tips! If you’ve noticed someone you’re interested in chatting with has published an article recently or has been mentioned in the news, that’s also a great way to organically start a conversation. After sending out a few messages on LinkedIn, you start to see replies: “Sure, let’s chat!” You prepare a few questions. You ask them why they chose their jobs and what they do every day and then decide what appeals to you. Working in teams? A must. You keep reaching out, and ideas keep coming in. After some helpful conversations, you figure out that you want to work in sales at a large technology company. So, when you come across John Doe’s profile on LinkedIn, you jump for joy. John Doe went to the same university, studied the same course, and he’s now the Director of Sales at your top-choice company. wow! Messaging John Doe on LinkedIn is a breeze now. You know you can talk about your shared university and course of study, and your interest in the same company. Now for the happy ending. John Doe connects you with two sales colleagues. One is hiring for an Account Intern. You apply, interview, and you guessed it: You land the internship. What’s a better feeling than that? Nothing, you say to yourself, nothing. To learn more about how to find LinkedIn jobs, check out this post.